*5. *,*51,317　Monogatari Series: Off Season Vol.4 "Nademonogatari"
Same source, same time period. Guess I will be specific next time (if) I post them but they are always the same time period, whatever Oricon considers the monthly sales period. Chihayafuru is not on the list. Since there is no anime or live action or anything else for Chihayafuru right now to bring in new readers, there is no reason why Chihayafuru would have high sales in a month when there is no new volume out. Btw even though Chihayafuru doesn't have anime series, it is always in the ranking list. Sometimes it's even in top 10. So I was surprised to see that it's not on the list this time, since the new volume was released just this month... and I've never seen it not being on top manga list -whenever there's new chapter or volume out. BE LOVE comes out twice a month but the tankobons which these lists are counting are only out every 3 months or so. There was NO Chihayafuru tankobon out in August. There was one in July and if you look in July you will see Chihayafuru in both the volume and series lists. That was volume 32. Volume 33 will be out in October and you will surely see Chihayafuru v33 in the volume list and Chihayafuru in the series listing. When I posted in April, however, you are correct. Chihayafuru series did show up even though a volume did not show up in the list. It had 325K in April, the month after v31 came out. Chihayafuru v31 came out in March where it showed up in both the volume and series ranking with over 700K in the series ranking. In February Chihayafuru was just on the very bottom of the series listing with 166K. That would not have made it this month. So I don't think we can say that the "background noise" level of Chihayafuru sales have dropped. This month may have simply had more series that sold more so that Chihayafuru did not show up this time. Lately it seems to sell 700K the month a volume comes out, 300K the month after and less the month after which may not show up depending on other series' sales that month. Perhaps @kuuderes_shadow has the monthlies for July. Thanks for the number for July. *8 *47,318 Kono Subarashii Sekai ni Shukufuku wo! 19 *20,281 Hachi-nan tte, Sore wa Nai desho! So is your list cumulative for all volumes of the series through the end of August? Does it mean that Alderamin sold a total of 28,000 copies this year? I'm not especially interested in Alderamin per se, but someone over at AnimeSuki suggested sales of the light novel increased by 60,000 copies since the anime began. That seemed highly unlikely to me, so I looked up the figures here. The follow-on discussion at AS did not clarify matters. It's not my list, it's Oricon list. And no, it is NOT cumulative. It is just the sales for August. It sold 28000 copies in August in the series, i.e. all volumes of Alderamin's sales all together in August totalled 28000. Not sure why that's so difficult to grasp. 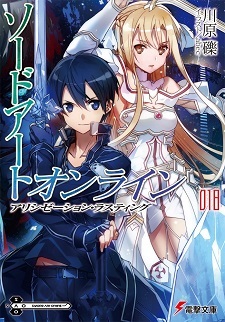 Unfortunately it seems I didn't grab the LN monthly series for July and no one else posted them either. @JetNoir has been tracking it and it seems like it got a 30K boost and a 15K month so I think 60K is completely believable. I'm now officially confused. Snow's list and hpulley's list do not match up. The Alderamin light novel doesn't appear on Snow's list but is reported to have sold over 28,000 copies in hpulley's list. Are these figures coming from different sources? Both are from Oricon but one is highest selling VOLUME (snow's) while mine is the highest selling SERIES. Alderamin showing up on the series list but not the volume list means Alderamin has some interest (likely from the anime) from anime watchers picking up old volumes of the novels. If you cross reference the volumes with the series you will see that all of them are higher in the series list which is to be expected. If you check the weekly light novel threads for @kuuderes_shadow 's postings you'll see that the Alderamin series often showed up in the weekly series rankings during this ranking month. Volume 10 of Alderamin actually came out in July but that volume and earlier ones showed up in August, likely due to the anime. Nice to see these series in the top 10. That's Nisekoi's second to last volume right? 240,394 seems like a solid number but kind of low considering the series ended not to long ago. Is that a good sales number by Nisekoi standards? One Piece still finds a way to make it into the top 20 despite being out for two months. Nice! Okay I guess, we're in waiting mode. How is it possible to sell so much at volume 90??? 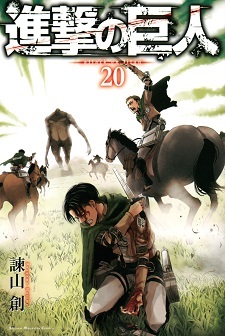 Dat　Shingeki no Kyojin cover first time levi looks so down , anyway where 's next chapter 85?